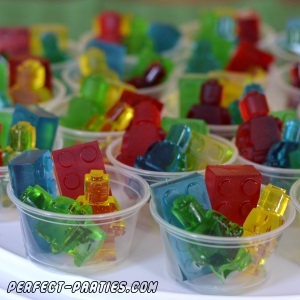 Lego Party Ideas for kids. 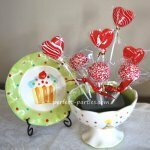 This is a favorite theme for kids and we have some great ideas to make this a special event. 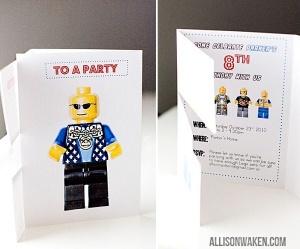 These Party Invitations can be downloaded here for free. Helium filled lego colored balloons. 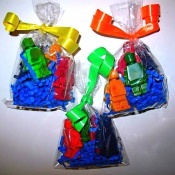 Cute home made robot crayons make creative fun party favors! 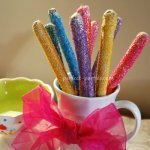 Use silicone molds to make these cute crayons. 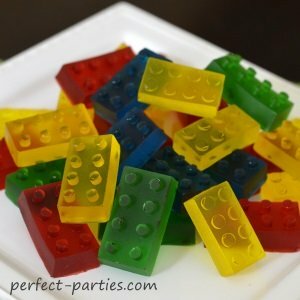 Lego Candies and Home Made Soap! 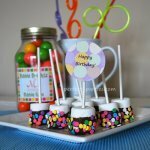 We found some cute party favor ideas from Amazon below. We bought silicone molds from Amazon as well as the Lego Store. 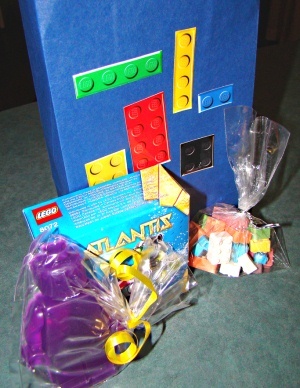 Set up Lego stations for children to build. You can set up a Mega Bloks station for younger kids to keep them busy too and away from the smaller pieces. Guess How Many? Fill a clear container with Lego Pieces and have each child guess how many are in the container. The closest number is the winner. Lego Challenges: Have children build with lego to achieve various challenges such as tallest building, most creative, most interesting car, etc. Have a small prize for each child. This would work best with older children. Please note we were given written permission for all material and photos posted on this page and we ask that you also request permission before reposting any pictures. Thank you! !